Would you reserve a tour that costs $12,000 for a single day? What if that tour included just about anything you want to do, including a Cinderella Castle Suite tour? Disney has just begun offering a new V.I.P. tour that is called the “World of Dreams” tour. This is the most expensive single tour Disney World has ever offered. The cost is $12,000 for a single day and $10,000 for additional days. The tour can last up to 12 hours and you’re assigned two Disney tour guides. The tour is fully customizable, but it can include things like: Cinderella Castle, Exclusive nighttime spectacular views, 3 meals of your choice at any Disney restaurant with no reservations required, back gate access to any attraction and backstage transportation between parks. Anyone ready for a $12,000 Disney World tour? While I can see this probably being one of the greatest experiences that any true Disney fan can ever imagine, I personally could not imagine shelling out $12k for a 1 day experience. Maybe one day I will become a millionaire. Then, it might make sense. Could you zip line as Tinkerbell in the Fireworks show? Guest star as Vader in Jedi Training? I’d be really creative with my requests to see what was possible. Haha! That’s great! Good thinking! If I had the money I might consider it! COME ON LOTTO! Lol! The tour is for up to 6 people, so honestly $2,000 a piece, meals included, it’s not a TERRIBLE deal if you can all agree on what you want to do! Does it include park admission? Or do you still need to buy a ticket??? LOL! I’d love to know the number of people that could go for the $12,000 as well. Not that I have 12K either but I can dream! You bet! In fact, I believe I’ll take three — one for each of us. Not true, you could do both. There are a lot of rich people that spend their money on what you woiuld call “stupid”. If I hit the Mega Millions and had access to a dozen rare characters of my choice, then yes! The issue with a group is that you would all have to agree on what you wanted to see and do. Yes, this is definitely the biggest obstacle that I can see. But if you get back gate access to attractions, you don’t have to wait, so you can do probably everything anyone wants to do. LOL, no, I believe the biggest issue for most of us is coming up with $12000 to spend in one day & then have nothing to show for it except a few memories. The cost of this is ridiculous! 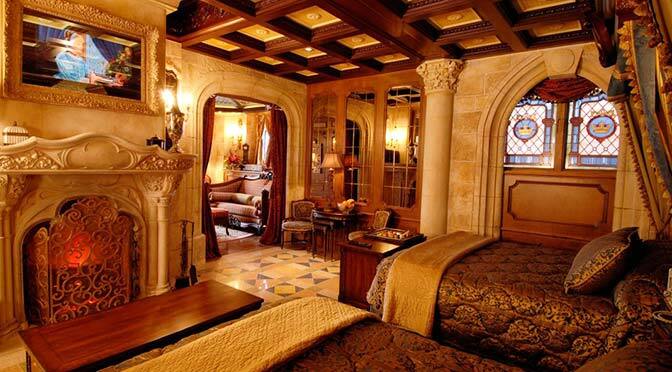 For $12k you don’t get to sleep in the castle? Not that I have 12k laying around…or that I’d choose to spend it like this if I did…but for the very wealthy who don’t have to think twice, $$ has its privileges. How big of a group? If you got 12 people to kick in $1000 each… that might be doable. excellent question! I’d love to know too. I would think this price is per person . Not per group of people .